Regular massage promotes a healthy immune system. Massage contributes to the reduction of stress by relaxing the nervous system, reducing tension and restoring your well being. Coax tired and aching muscles back into condition with the power of touch. Depending on your needs, your therapist can incorporate a variety of massage techniques to achieve the state of body and mind you desire. A facial for your back debinning with an exfoliation and refinement. Followed by massage and the application of heated paraffin wax. A natural healing foot massage that works on using pressure points of the foot which re-balances the body's whole system. 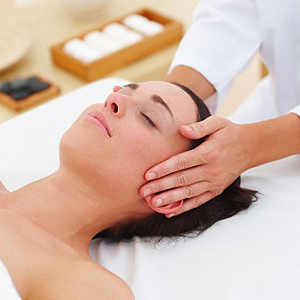 This treatment helps to relieve stress and tension and promotes a feeling of wellbeing. With the careful combination of smooth hot stones and the hands of a skilled therapist, this treatment concentrates on giving you a deep therapeutic massage. 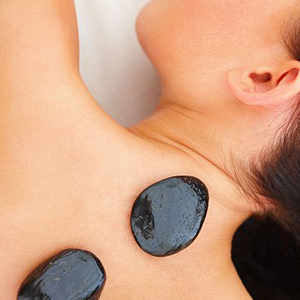 The warmth of the stones allow a deeper treatment of muscles leaving you feeling renewed and relaxed. Relax your body and calm the mind with the ancient Indian massage. This massage will release stress and tension in the back, head, shoulders and facial pressure points. An excellent choice for those suffering stress, fatigue, insomnia, headaches and sinus problems. If you're looking to lose a few extra inches you could always join a gym or attempt the latest diet, but if you want instant results look no further than the Classic treatment from Universal Contour Wrap. We guarantee you will lose at least 6" in just two hours, or your money back! what could be more perfect for that special occasion? This perhaps sounds too good to be true but with an average loss of between 10 - 14 inches from just one body wrap we are confident you will be impressed. You even get peace of mind knowing that our inch loss guarantee lasts for 30 days so you continue to benefit long after leaving the salon. To extend your inch loss effect, a course of 3 treatments will often be enough for most women to lose a complete dress size. Gives you the benefits of a one hour workout in just ten minutes with very little effort. Burn fat, increase flexibility, improve varicose veins, reduce cellulite, promote circulation and build muscle tone. A completely flawless, natural looking tan. 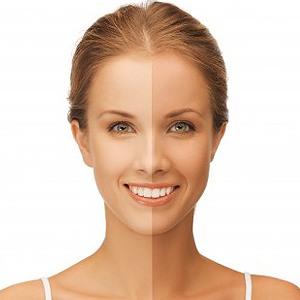 Fake Bake has become the favourite tan for celebrities like Cheryl Cole, Paris Hilton and Victoria Beckham who demand a long lasting sunless fake tan.